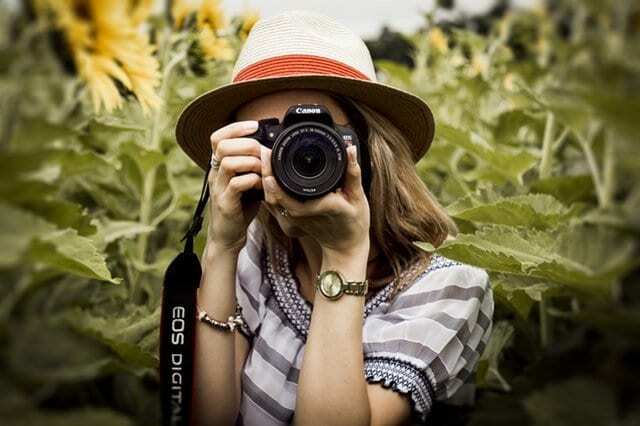 Whether you are a professional photographer or photography is your hobby, you can make money by selling your photos online. Here are some guidelines to help you start off on the right foot. Just like with any other business, the stock photography marketplace is regulated by the relations between supply and demand, which also dictate trends. If you don’t pay close attention to what you submit to stocks, you are hardly going to make serious money from it. Images that tell stories and reflect emotions perform well, while lifeless images are considerably less appealing to potential customers. For instance, highly sought-after topics include images that feature old men and women, which imply trust, whereas those showing individuals who work early and late speak of the people want to prove themselves as hard workers. As mentioned above, trends in stock photography will determine what you need to shoot to make the most of your efforts. Big money is in lifestyle, education, business, medicine – the things that happens in real life – so you have to shoot what people like if you want to make stock photography work for you. However, your images still need to be unique. Be aware of the market needs, but don’t limit your creativity. Many photographers are data-driven, which means that they check what sells best and make the most of it. Making cliché images won’t help you establish yourself as a competitive photographer in this business, so you should research the needs of the stock photography market and find a way to deliver unique photos that sell. If you want to start earning from stock photography, you have to be a good photographer in the first place. Besides your skills and talent, you have to own the right gear that will help you produce high-quality images that you can sell on different stock sites. Luckily, extensive curriculums such as this contemporary master in photography, for instance, will teach you not only what it takes to be a good photographer, but also how to monetize your passion. Working side by side with professional photographers who lead today’s market will give you insight into the business part of photography, teaching you how to find your place in various areas of visual production, communication and image, from still & motion and storytelling to advertising and corporate fields. First of all, you need to put together a captivating portfolio, after which you should sign up on popular stock photography sites like Shutterstock and submit a batch of your photos. They have editors that review your photos, and if they like them, you’ll receive feedback. Going forward, you may even receive requests for content, depending on what they need at the moment. At this point, you have to listen to what the editors are advising you as well as develop your authentic style. Stock photography is quite a dynamic field, so you have to constantly refresh your portfolio and keep up with the trending topics. There are people who earn good money from selling their photos on stock sites, but their success is not accidental. These photographers put a lot of effort to produce sellable images on a consistent basis. Stock photography can be a profitable business if you can manage to come up with attractive images on a regular basis. To produce stock images that sell, you have to be a good photographer, invest in quality gear, research, develop an authentic style, and be open to accepting changes. Jennifer is a senior business strategist, holding an MA degree in business communication. She is always doing her best to help her clients find their place in the ever so competitive business arena. You can check her out on LinkedIn and Twitter.